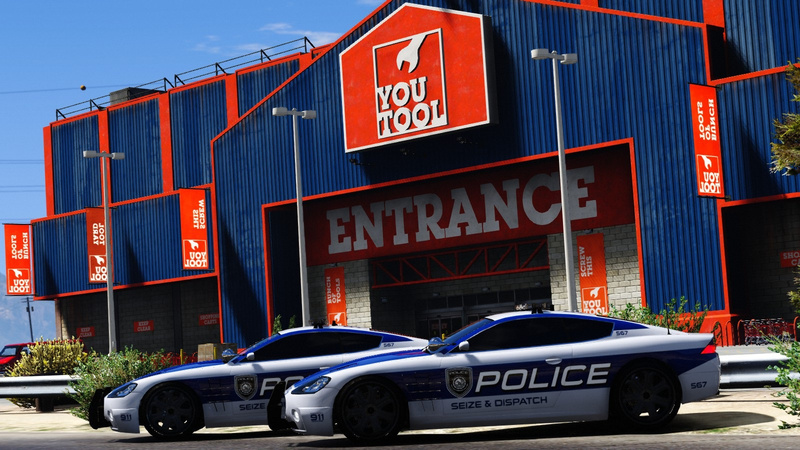 Voit Turyv, TheSecretPower, AlexanderLB et al. 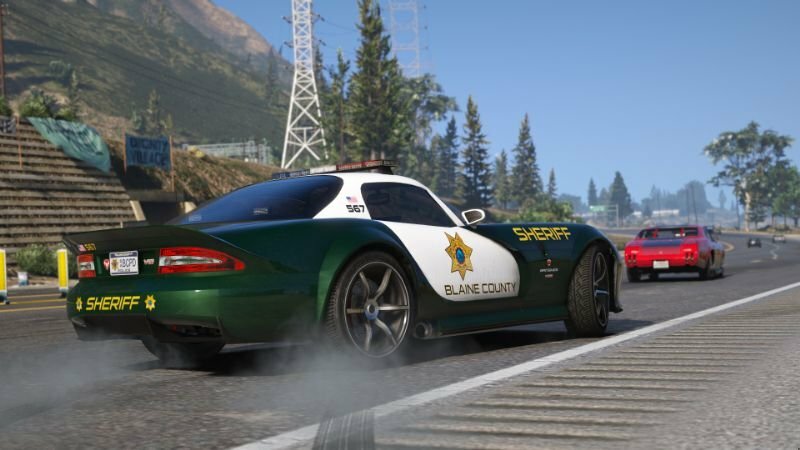 The most corrupt county police department in San Andreas has decided to crack down on reckless drivers and rich kids driving their gaudily pimped Pegassis speeding through pothole-ridden county roads - and they will achieve it with no less than expensive toys seized from drug-dealing criminals and other cash-flashing lowlives. 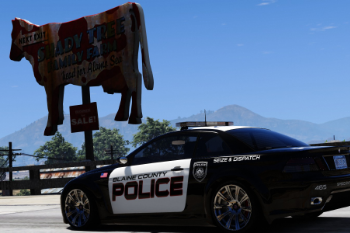 Nevermind the recently sky-rocketing murder rate in Blaine County - car guys enjoying their rides just above the speed limit in the middle of nowhere have now become the primary target of Blaine County PD. 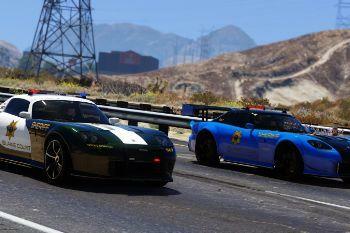 Traffic information for today: avoid getting seized and dispatched. 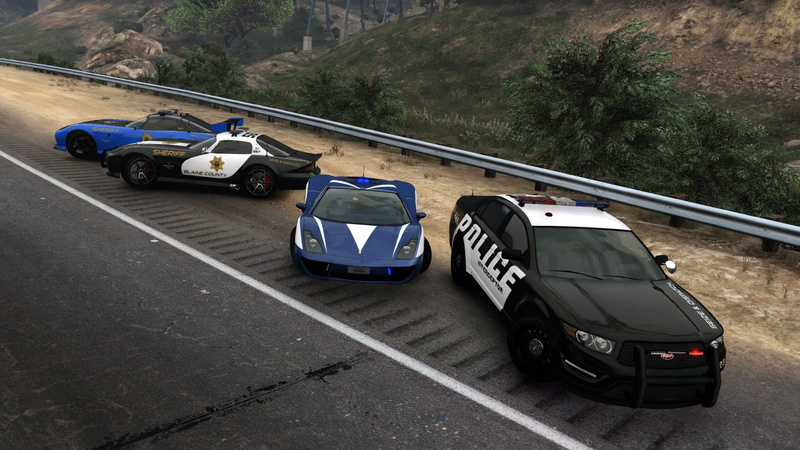 + Added 5 vehicles: Bravado Banshee V10 (2 variants), Dewbauchee Rapid GT, Pegassi Vacca (Polizia Stradale variant), Vapid Torrence. 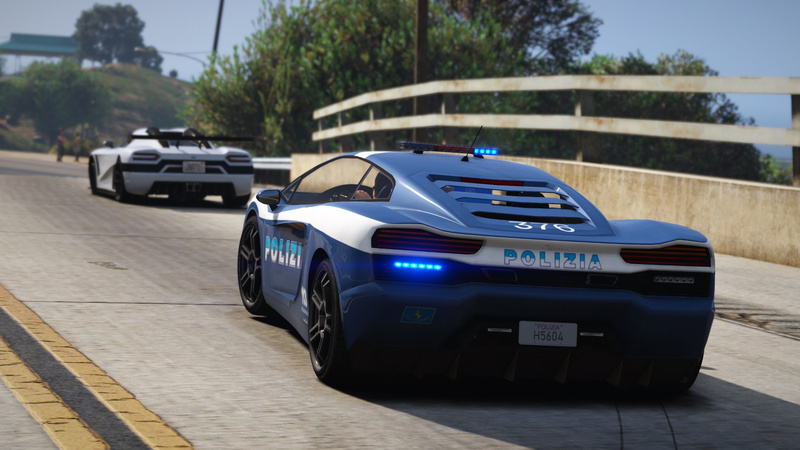 • F620: improved vividity of blue livery parts. 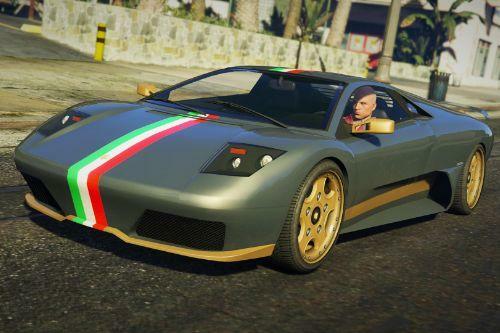 + Added 4 vehicles: Lampadati Felon, Ocelot F620, Pegassi Infernus Classic, Pegassi Torero. 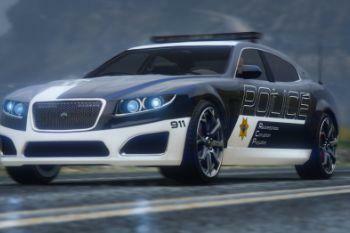 • General: replaced Wiwang ELS siren controller texture with a blue variant with new font and logo. • Rocoto: improved emergency light texture brightness. 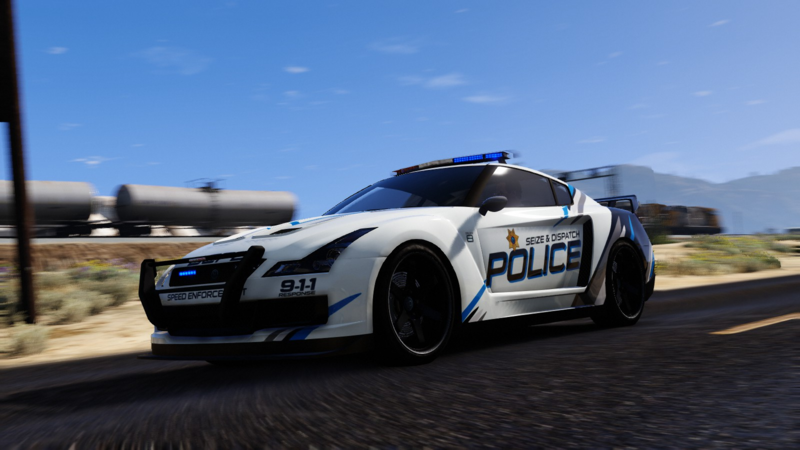 • Full livery support: 4K templates available in the archive. 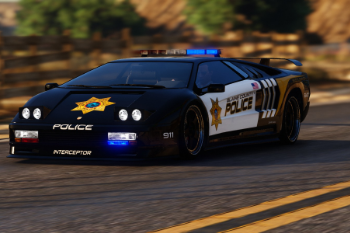 • Vehicle fleet, equipment and livery design based closely on original Seacrest County PD vehicles seen in Need for Speed: Hot Pursuit (2010). • Faithfully recreated emergency lighting setups and patterns. 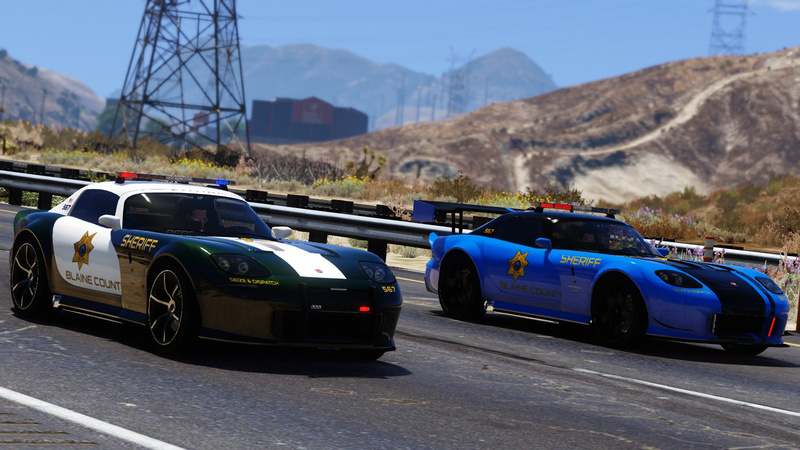 • Various smaller model fixes. 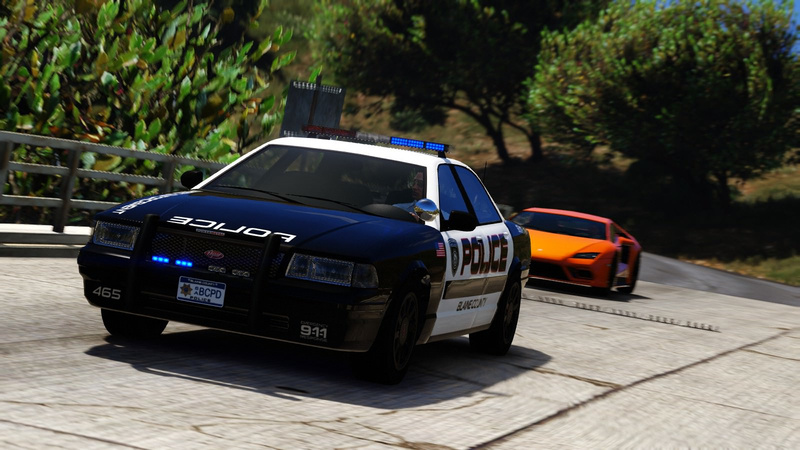 This mod includes a config file for an Auto Engine Sound Swapper script that changes the engine sound of all cars of this pack upon spawning to their stock counterparts - while keeping audible sirens! 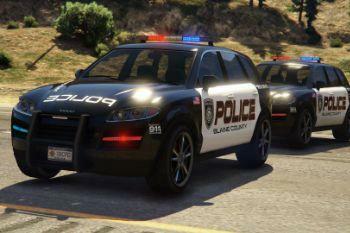 Rockstar Games - original vehicle and police equipment models. 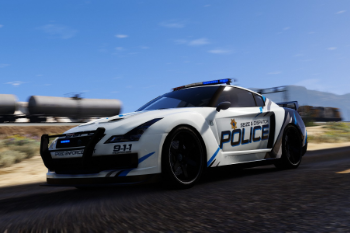 Voit Turyv - BCPD vehicle variants, UV mapping and templating: Banshee V10, Buffalo S/C, Bullet GT, Elegy RH8, F620, Felon, Infernus Classic, Rapid GT, Rocoto, Sentinel XS, Torero, Vacca, BCPD livery designs, lightbar models, lighting setups, interior police equipment, Vapid Stanier: hubcap model improvements, text files. 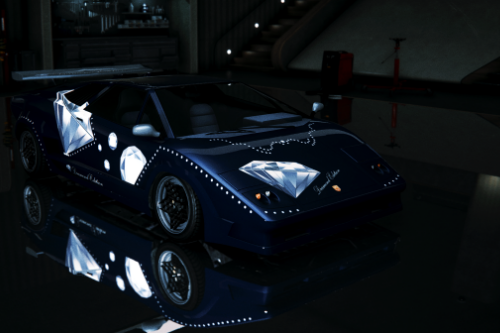 TheF3nt0n - UV mapping and templating: Vapid Stanier. 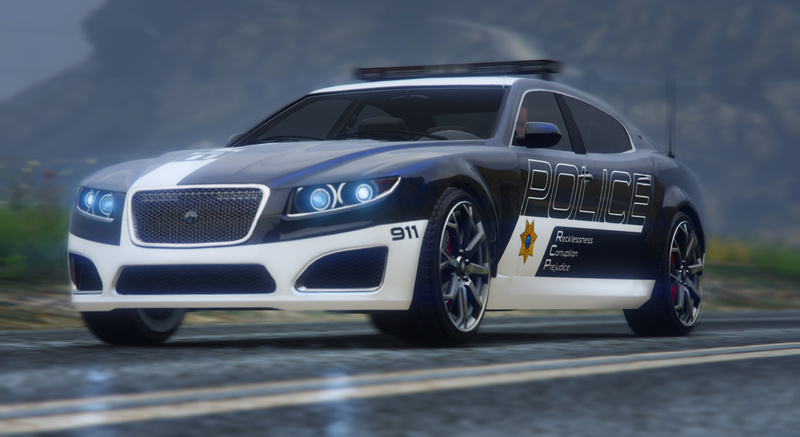 Vx5 Voltage - model: Vapid Torrence. 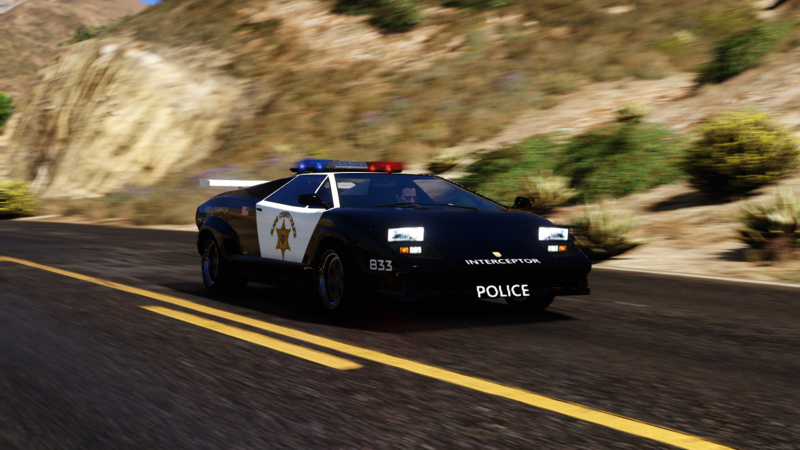 m4k3 - Vapid Stanier: hubcap model. 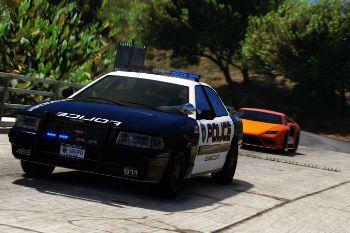 11john11 - rim models: Vapid Stanier, Vapid Torrence. 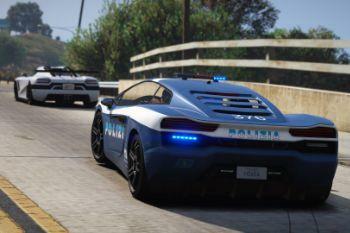 le_shark - Bravado Buffalo S/C: improved rear end model. 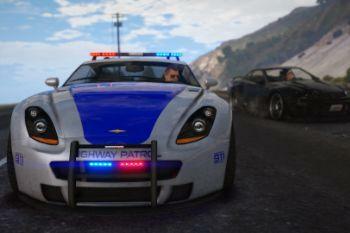 FatherMckenzie - Bravado Banshee V10 ARS: front lip and spoiler models. 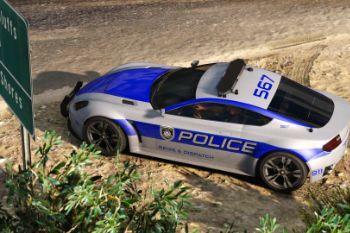 MGgames100 - Ocelot F620: rim model. Skitty - Wiwang Emergency Lighting System model. 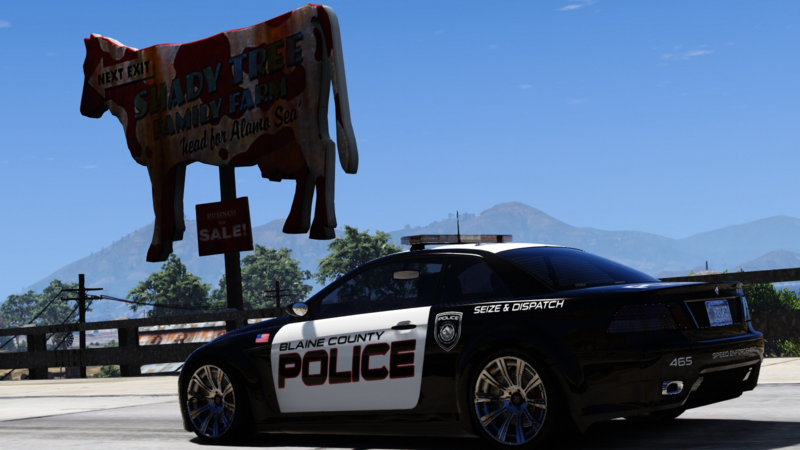 Johnny362000 - vehicle handling: Bravado Buffalo S/C, Vapid Bullet GT. 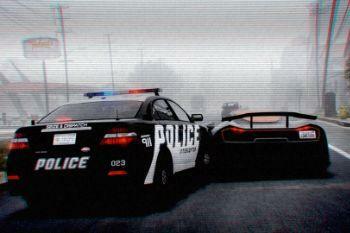 Eddlm - support for Auto Engine Sound Swapper script. 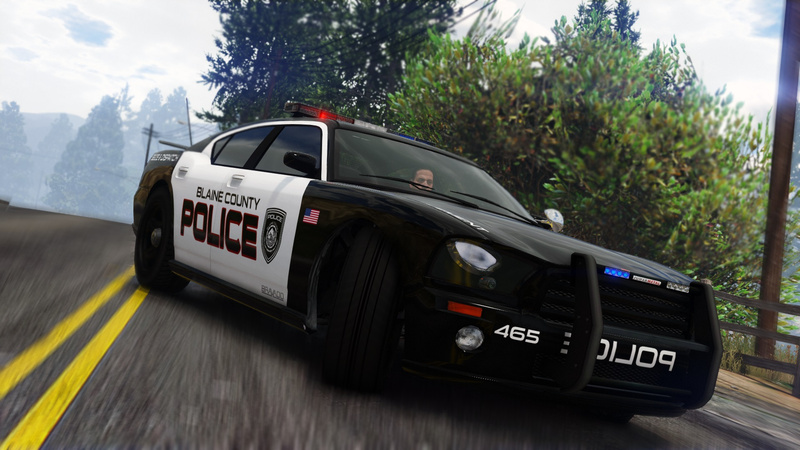 AlexanderLB - textures: Blaine County PD star and shield, BCPD plate, Wiwang Emergency Lighting System, police laptop wallpaper, vehicle badges: Banshee V10, F620, Infernus Classic, Rapid GT. 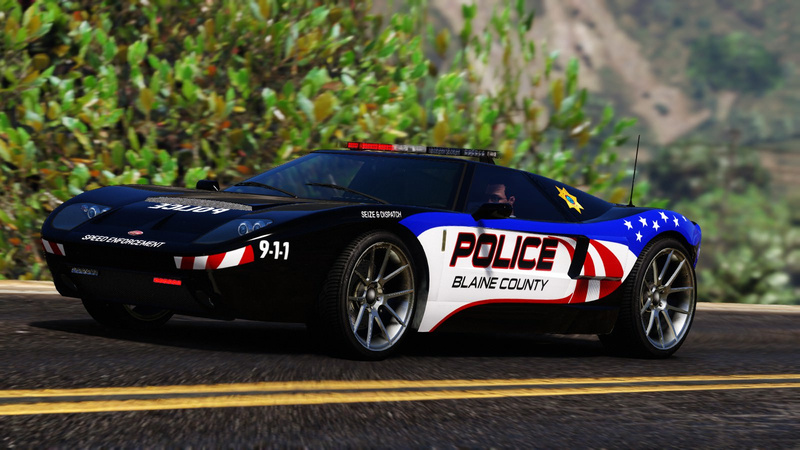 Boywond - livery: Polizia Stradale (white stripes), vehicle badges: Buffalo S/C, Bullet GT, Rocoto, Torero, Vacca. 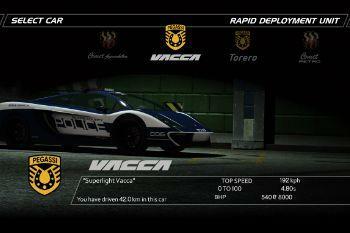 Monkeypolice188 - Vapid Torrence: livery. 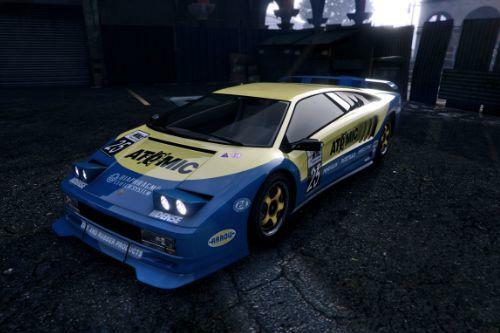 Testarossa - livery: Mario Cazzo. 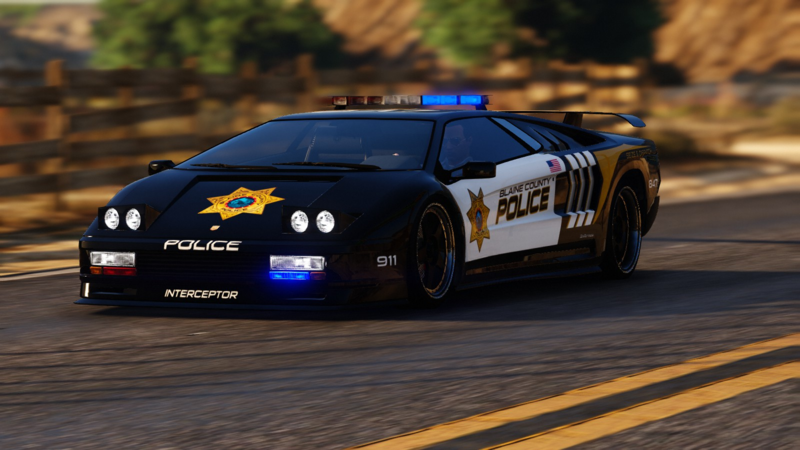 TheSecretPower - BCPD livery designs, vehicle badges: Torero. 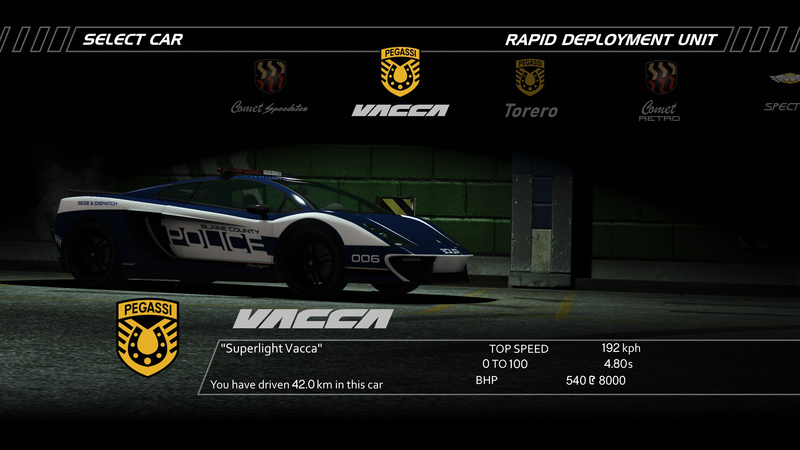 Xepy - livery: Vacca Ultraleggera. 11john11, Anthony1081, Introvert, Monkeypolice188, TheSecretPower. 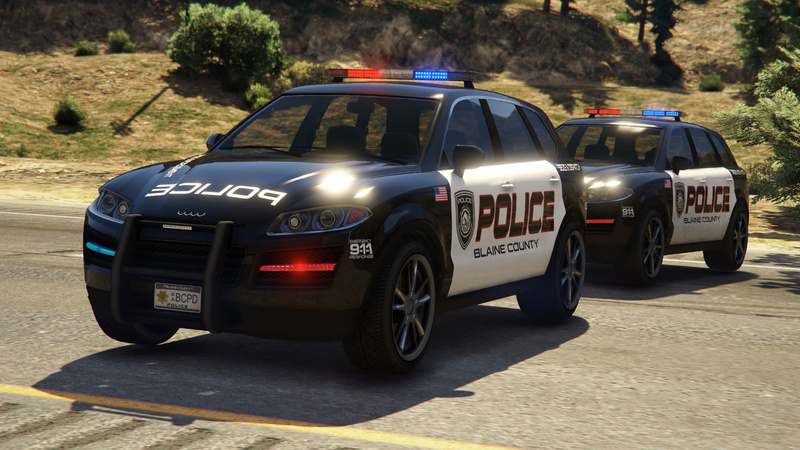 If you want to modify the models or reupload it somewhere else, make sure to contact me and give credit. 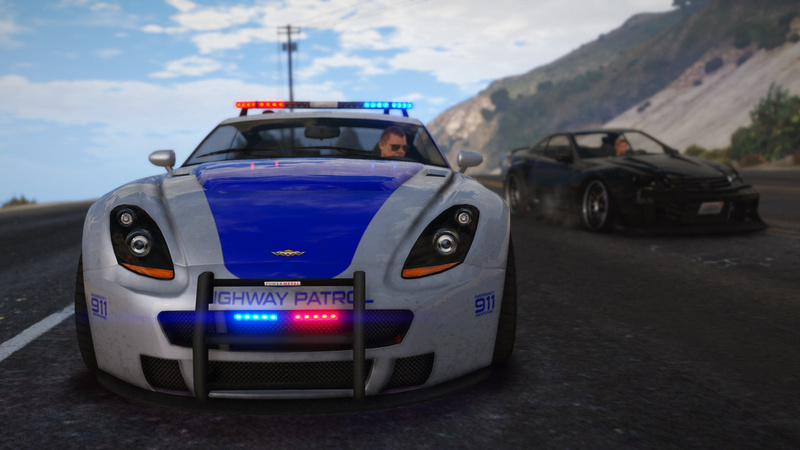 @YaBoiBlasty the vapid dominator gtx is no way similar to the chevy camaro ss. 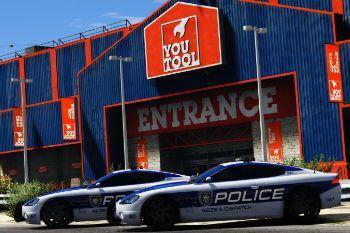 @LtSnoDawg32 Well, there's nothing else. This is really cool! 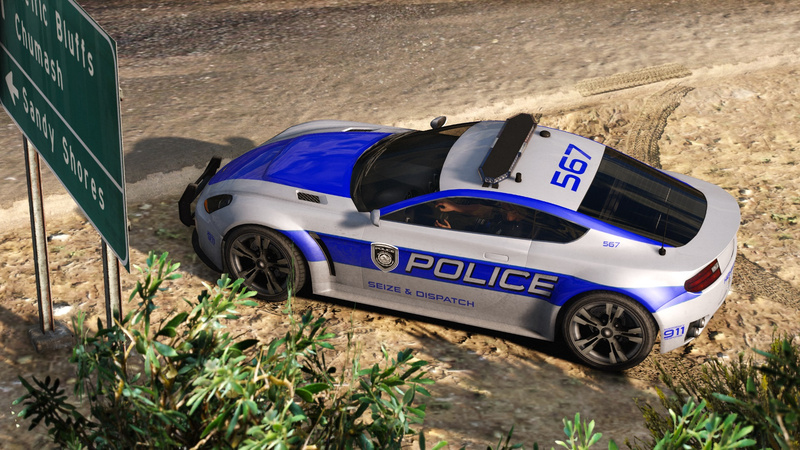 You should include some DARE-style police cars in this too, I reckon they'd fit right in. 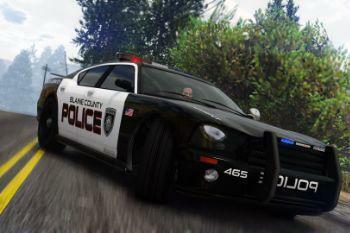 @Kiryu D.A.R.E. 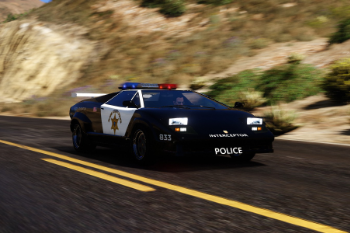 liveries are not the point of the BCPD pack. 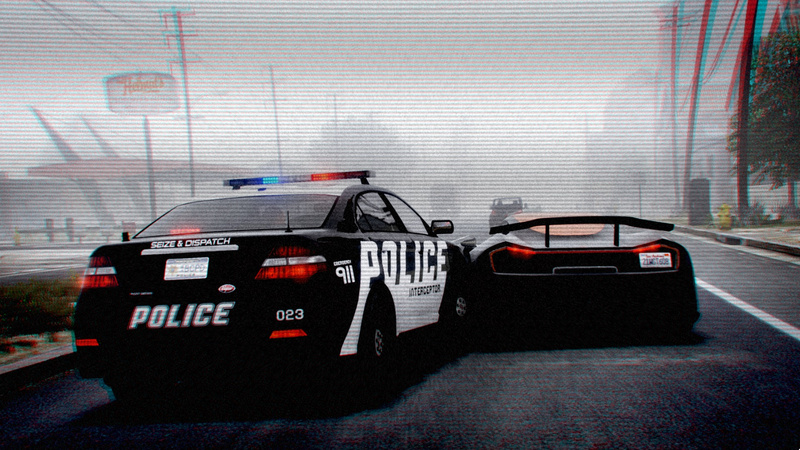 @jtgibson It's a poster made by TheSecretPower based on a GTA screenshot. 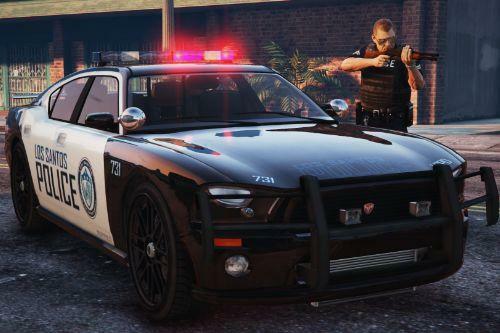 Is there a way to make these vehicles spawn for the police? @Estdo Yes, you can add their entries to dispatch.meta. Will this eventually have the entire HP roster (or as close as possible)? 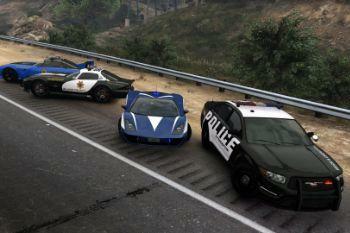 @PanzerShrek Yes. Piece by piece. 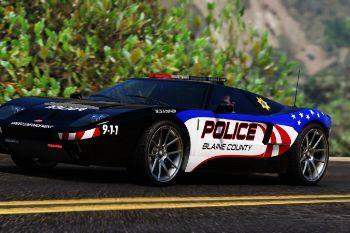 Just your friendly reminder that there are no super cars permitted in Blaine. 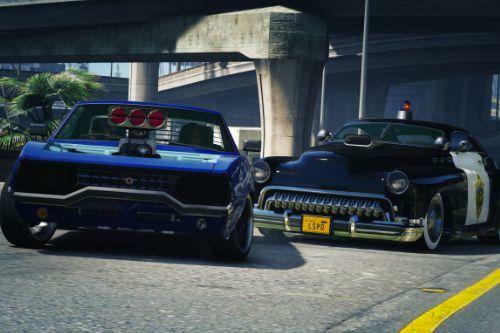 I LOVE THE TORRENCE WITH THAT SKIN!